These days, almost every EDC flashlight can pack a huge punch in a small package. But here's the thing—they tend to run out of juice in a hurry. Even though most use rechargeable batteries, dealing with chargers and cables can get messy. Thankfully, recharging the Nitecore R40 is as simple as it gets thanks to its wireless charging dock. And that's if you need a charge in the first place, as this 1000-lumen searchlight's got a proprietary, high-capacity battery powering it. 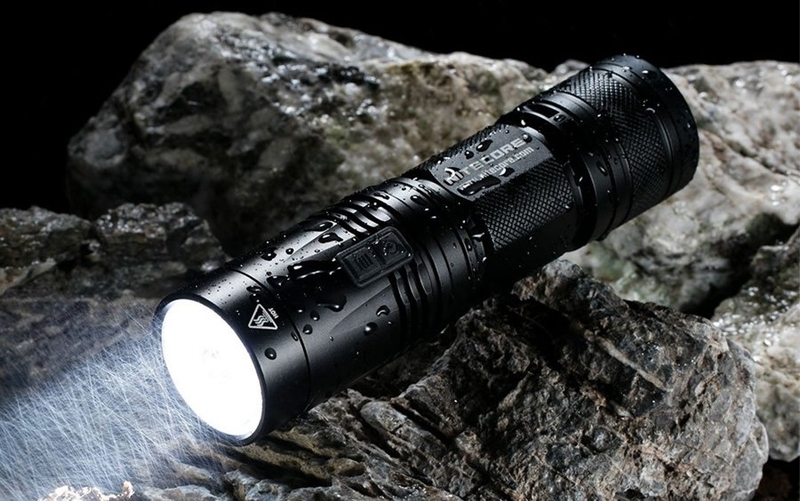 Nitecore calls the R40 a searchlight, and at 1000 lumens of power and 520 meters of throw, it performs at the level of larger lights despite its sub-6" size. Even with all that power, the R40's rated to last up to 1000 hours of use at its lowest brightness setting. After all that runtime, you've got plenty of options to recharge the R40. At home base, you can use the R40's unique wireless induction system that works with a stand that you can place on a table or mount on a wall. When you're on the go, you can plug the flashlight into any USB power source to charge it as well. And you won't have to worry about leaving it on the charger too long thanks to its built-in overcharge protection circuitry. With all these features, you'll want to take the R40 with you everywhere. Thanks to its IPX-8 weather-sealing, you can pretty much do just that. The Nitecore R40 searchlight is a handheld powerhouse that's as versatile to charge as it is to use every day. Grab the full kit at the link below.